987FM is an international online radio station playing a fresh, uplifting and electric music format for a global audience from Singapore. 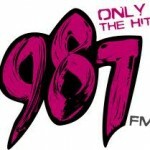 987FM are an independent station for the online generation, connecting those who already have a strong connection with Singapore. 9 In A Row – All 9 songs selected are played in a row automatically beginning from the top of the hour, with no commercial interruptions every weekday morning from 10 am to 12 pm. 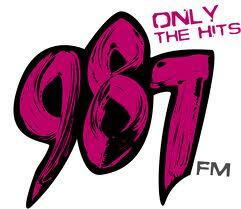 (Listeners can request for songs via 987FM’s Facebook page between 9:30 am and 11 am.) Note: The request posts are temporarily unavailable for now, thus there will be no exception of song requests until they return. 987 Top 20 Countdown – “Singapore’s official chart show” plays top 20 most popular songs islandwide for the week every Friday from 8 pm to 10 pm with an encore telecast every Sunday from 9 am to 11 am. Note: The countdown will not be aired if 987 Top 100 Countdown is aired on Friday and due to a week of national mourning. 987 Top 100 Countdown – On New Year’s Eve annually, 987FM counts down the year’s biggest hits on the radio station, played out over a 10-hour period from 12nn to 10 pm, with a repeat on New Year’s Day.